See Pricing Tables or Specials. A better way to clean your carpet, upholstery and floors Professionaly See Princing Table or Current Specials for details. Visit our Specials section above or Inquire Now about our current specials and 1st time promotions to (888) 430-9334. American Carpet Cleaning provides professional Carpet Cleaning Upholstery Cleaning Rug Cleaning Tile & Grout Cleaning Floor Polishing 24/7 Emergency Cleaning services. As the local industry leader with decades of cleaning experience, we know that regular cleaning helps protect your investment. American Carpet Cleaning is committed to providing the best carpet cleaning and floor cleaning service in Los Angeles, Simi Valley, Thousand Oaks, Santa Monica, Van Nuys, Santa Clarita and many Southern California cities. Our professional deep cleaning services provide the necessary care and maintenance to extend your floors and furnishings life, luster and shine. 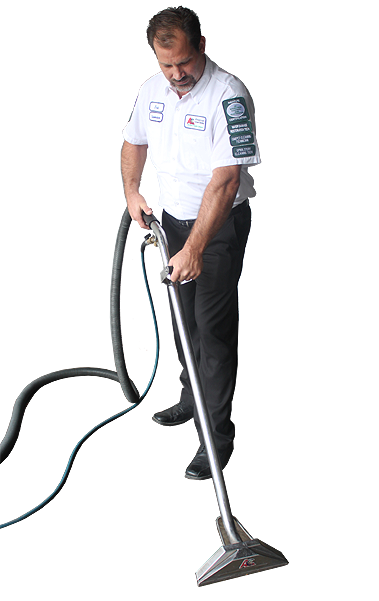 American Carpet Cleaning uses the industry's most advanced truck-mounted carpet cleaning system. Our exclusive hot water extraction provides the best results without the abrasive brushing of other carpet cleaning methods. Our Area Rug cleaning experts will inspect each rug's particular weave, fibers and dyes prior to performing a deep cleaning to ensure no damage while restoring to like new condition. A stain resistant coating is also applied. If you're in need of emergency cleaning and restoration services, American Carpet Cleaning is available 24 hours, seven days a week for your commercial or residential emergency cleaning needs. For Fast Response Call (888) 430-9334 or Request Service now! Our specially trained upholstery cleaners have expertise in many difficult-to-clean materials like silk, suede, ultrasuede and velvet. We also offer deodorizer services and stain-resistant protective coatings. At American Carpet Cleaning we employ a powerful truck-mounted cleaning system for our tile and grout cleaning experts to clean, restore and protect your tile floors, showers and countertops making them look like new. Our high-quality, proven natural stone cleaning process involves pre-cleaning and masking of non-treatment areas, pre-sealing to maintain a dry surface, honing to remove scratches, etches, and wear marks, and a final polish and sealing leaving a luxurious finish. For your convenience American Carpet Cleaning has placed this easy comparison Carpet Cleaning Specials pricing chart. Each carpet cleaning package only varies about $30.00 difference from 400 Sq.Ft. to 700 Sq.Ft. (or vise versa) but the time, labor and cleaning chemicals used in cleaning process reflects a change in price. Carpet Cleaning is restricted to *ONLY Open areas or Wall-to-Wall cleaning if the room is empty. Please also note that the MINIMUM charge will be for 400 Sq.Ft. and is non negotiable for smaller rooms due to related costs for driving, setup and clean-up time to and from location. Professional carpet cleaning services every time!